One of the most celebrated poetry books of the year. The New Yorker, The Best Books of Poetry of 2016, New York Times, Critics Pick Boston Globe, Best Books listing NPR, Best Books listing Miami Herald, Best LGBTQ Books San Francisco Chronicle, Top 100 Books of the Year and Library Journal, Best Books of 2016. Suppose you do change your life. Born in Saigon, Vietnam, Ocean Vuong attended Brooklyn College. He is the author of two chapbooks as well as a full-length collection, Night Sky with Exit Wounds. 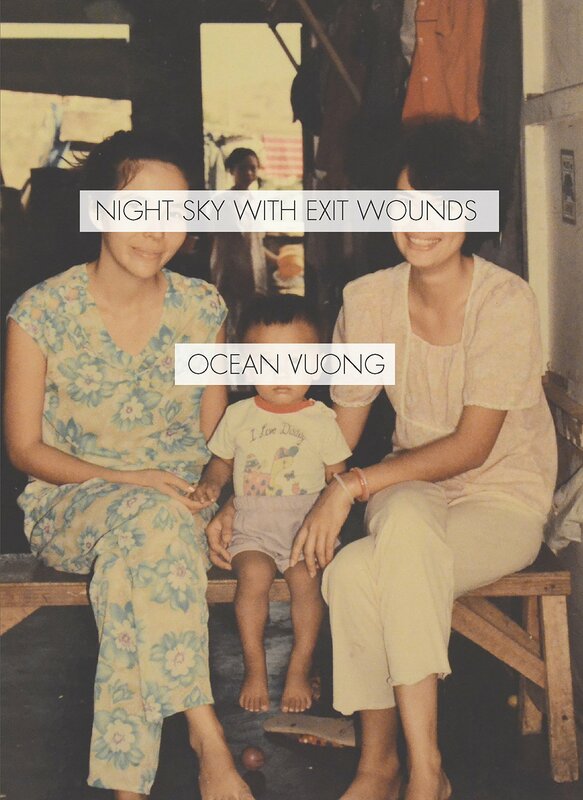 A Ruth Lilly Fellow and winner of the Whiting Award, Ocean Vuong lives in New York City.